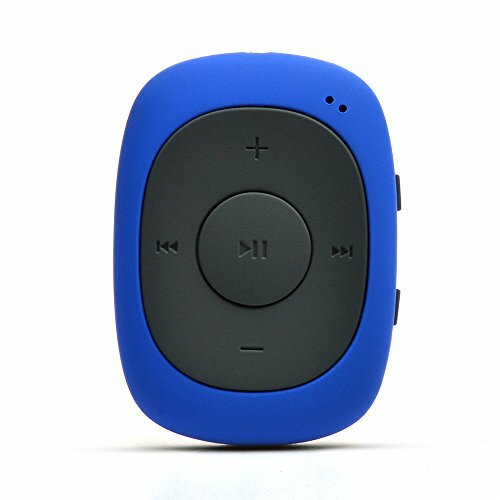 The AGPTEK G02 is a compact MP3 player that supports MP3 WAV and WMA formats, has 8 GB storage, an FM feature and a battery that supports more than 10 hours of playback. 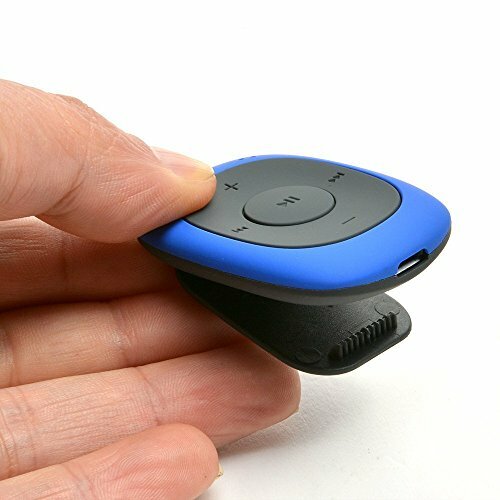 Here is a list of some of the unique features that make this MP3 a perfect fit for senior and elderly users. For starters, the AGPTEK G02 MP3 player comes with a large control surface that’s made possible by the device’s wider and thicker build. This makes volume control and track selection much easier. This is great for users who have larger fingers. Skipping tracks and controlling the volume is much easier even when the device is clipped on. Since the MP3 player features LED Backlight, all the controls are easier to see in all light conditions. 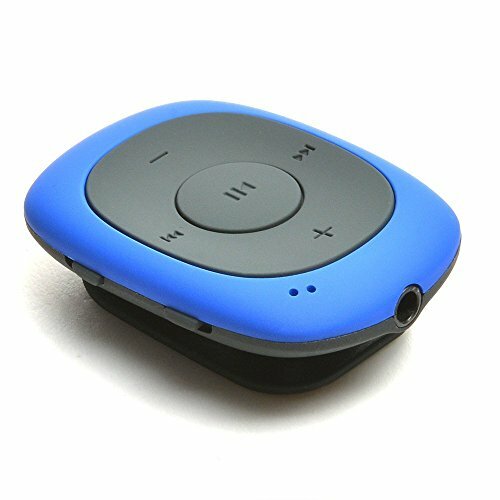 Users suffering from eyesight problems can use the MP3 player with ease and convenience. 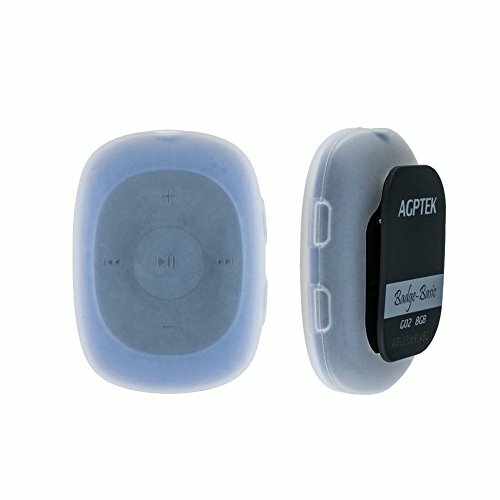 The AGPTEK G02 MP3 player produces great sound quality with regular running headphones so that users can enjoy their music using their favorite brand. 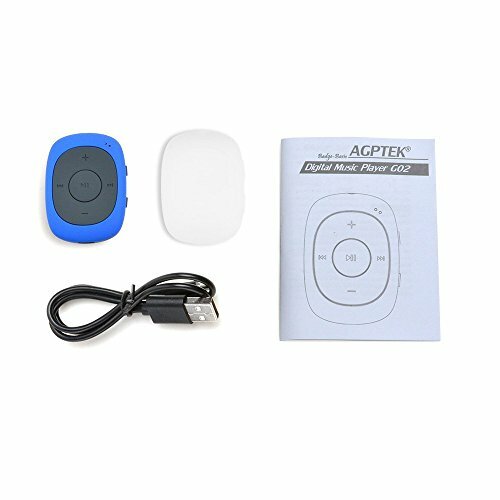 Overall, the AGPTEK G02 8GB Clip MP3 Player is easy and simple to use. It features a number of simple controls including volume up and down as well as track skipping. Adding tracks to the player from a computer is a simple drag and drop process. 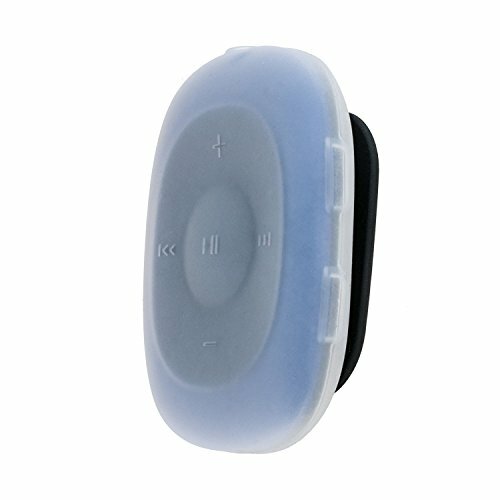 A truly simple music player for elderly people who just want basic features. This one has large buttons that click when you press them. There is no screen to deal with which has its own advantages and disadvantages. Clip-on Design: perfect for exercise / gym use, stick it with you anywhere for all kinds of outdoor sports. Come with a sweatproof silicone case. One Click to Shuffle: The player designed with FM / Music switch slider and repeat / shuffle mode switch slider. Intuitive and simple to operate. Battery Life: Built-in 160mAh rechargeable battery, 10 hours of audio playback at medium volume for about 2.5 hours of full charge (Shortened when listening to FM radio). Mini and Compact: Weighs only 0.49 oz. Size: 1.97 x 1.43 x 0.61 inches. There is no earphones in the package.